Congratulations to Academy graduate and scholarship winner, Natasha Bacorn! Despite only being in 7th grade and competing against high school students, Natasha won a $1,500 scholarship in the San Diego Optimist Club Oratorical Contest. We are proud of you, Natasha! Conquering the fear of public speaking is a valuable skill for children and adults that lasts a lifetime. The ability to communicate effectively and without fear influences your level of happiness and success in life, personally and professionally. Embracing confidence, public speaking, and leadership skills leads to new opportunities and gives you an advantage in school and life. Don’t live your life in fear, afraid to speak. Watch the video below to learn how the Academy for Public Speaking can help, or use these links to View Locations and Register Now. Enrolling in an Academy for Public Speaking course or scheduling a coaching session is a small investment which will contribute significantly to greater confidence, happiness, and success! Use this link to view the course schedule and Register Now. Academy for Public Speaking graduates have won over $23,000 from competing in contests and raised money for over 90 charities worldwide. Click the links to see our Scholarship & Contest Winners and the Wall of Fame. 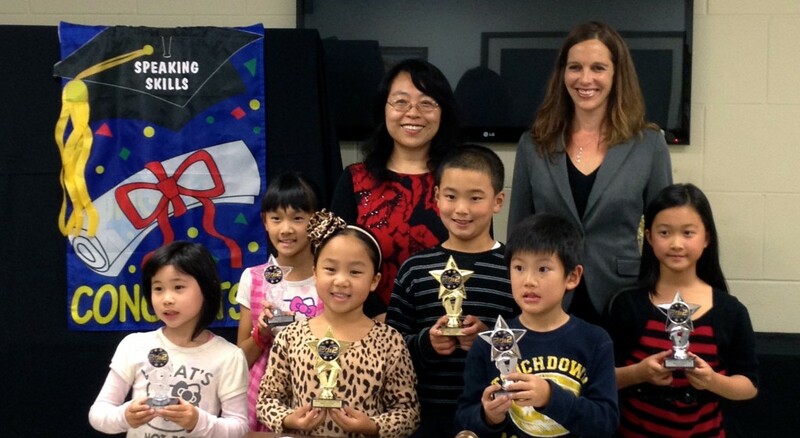 Academy for Public Speaking graduates use their voices to entertain, inspire, & help others who are less fortunate. 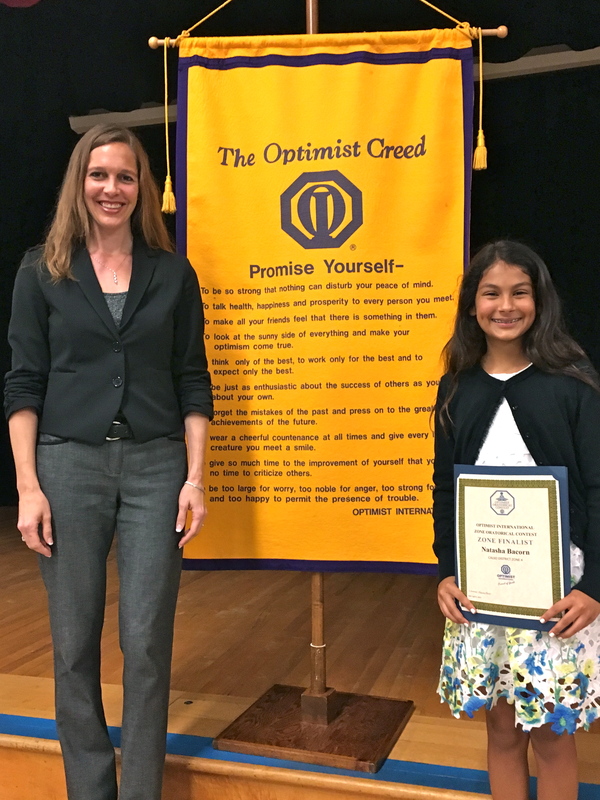 Visit the Academy for Public Speaking’s Wall of Fame to see which San Diego teens and pre-teens have already earned charitable donations for their favorite non-profit organizations by participating in persuasive charity speech contests. 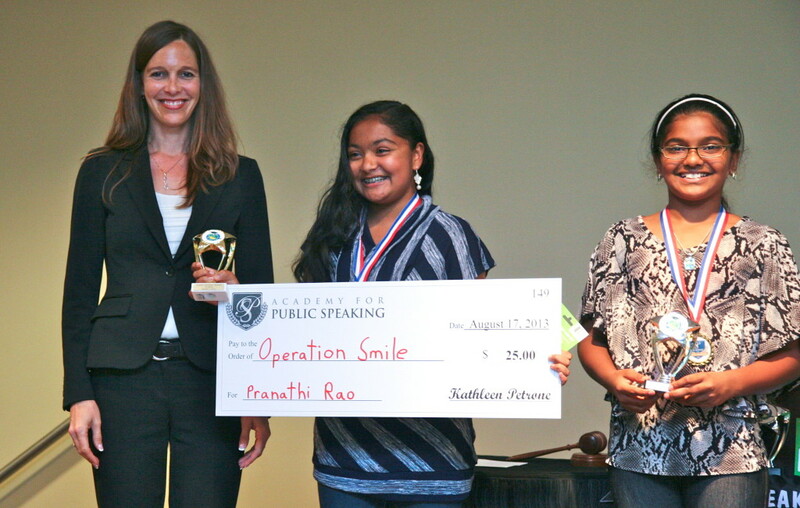 Something to Smile About – Pranathi Wins 1st Place & a Donation for Operation Smile! Thank you to every Academy for Public Speaking graduate for using your voice to make a positive difference in our world! This entry was posted in Uncategorized and tagged coaching, confidence, contests, courses, public speaking, san diego. Bookmark the permalink.